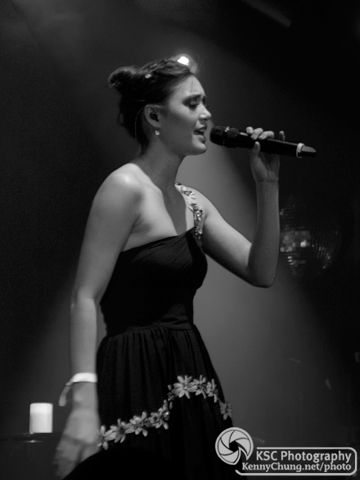 Half a year after being a runner-up on the TV show "The Voice", Dia Frampton returned to her former temporary home of New York City to perform songs from her solo album "Red". 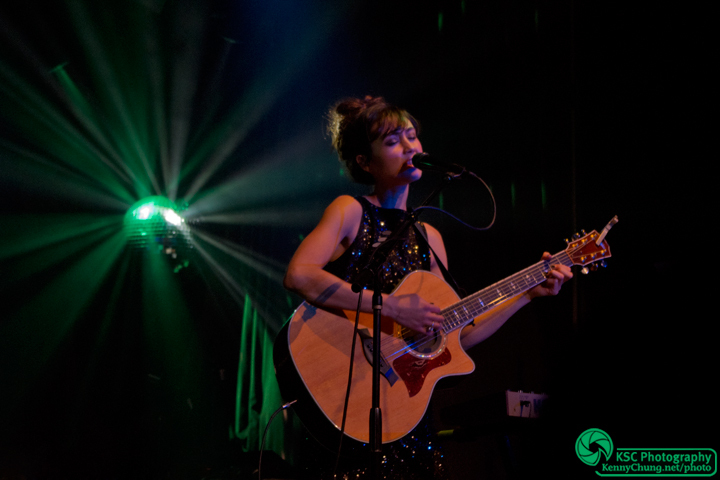 She was supported by all members of Meg & Dia, including her sister Meg Frampton (guitars, backup vocals, piano, percussion), Carlo Gimenez (lead guitar, banjo), Nick Price (drums), and Jonathan Snyder (bass). They played most of "Red", but also a handful of songs from the band's last full-length album "Cocoon". It was a very fun show and it was great to see how successful everyone had become since I started following them 6 years ago. 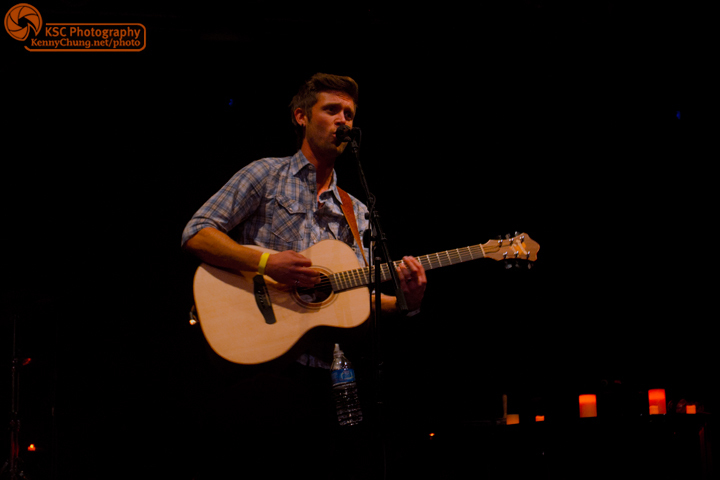 Andrew Allen from Canada was the opening act. I had no idea who he is, but apparently, he has a song currently in the Top 10 of the Canadian charts. He had a way with the audience. 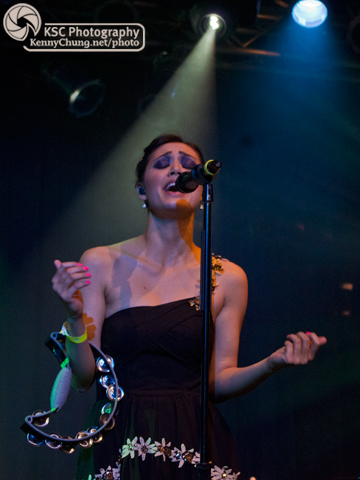 Dia Frampton took to the stage with her band, which was actually made up of all of the other members of Meg & Dia. 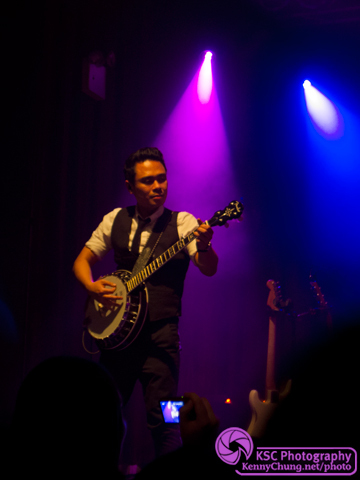 Carlo Gimenez playing his Fender banjo. I spoke to him after the show and he had only started playing three months ago for the tour, which is impressive. 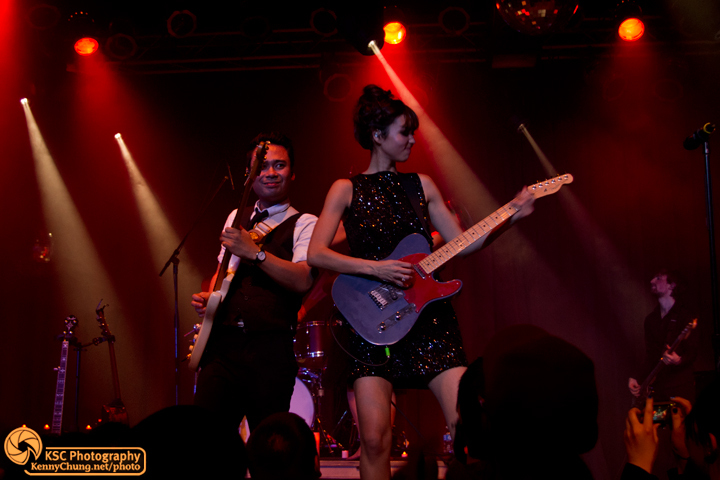 Dia and Carlo on stage at Highline Ballroom. This was probably during the song "Trapeze" from Dia's album "Red". 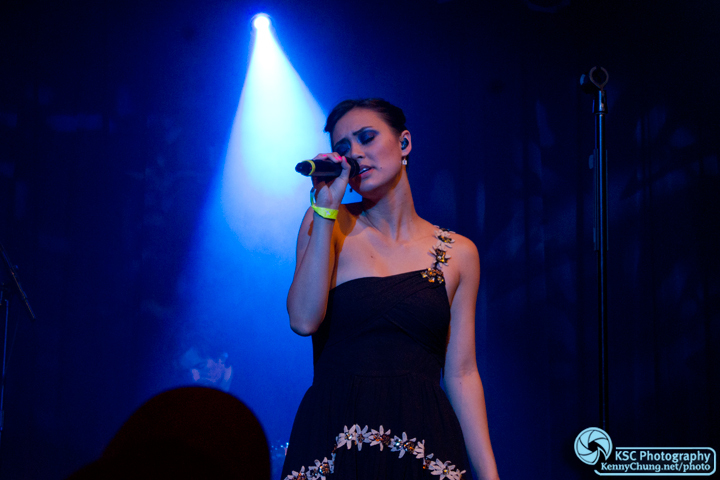 Dia Frampton looking stunning. She's added a lot more dresses to her wardrobe since being on "The Voice". 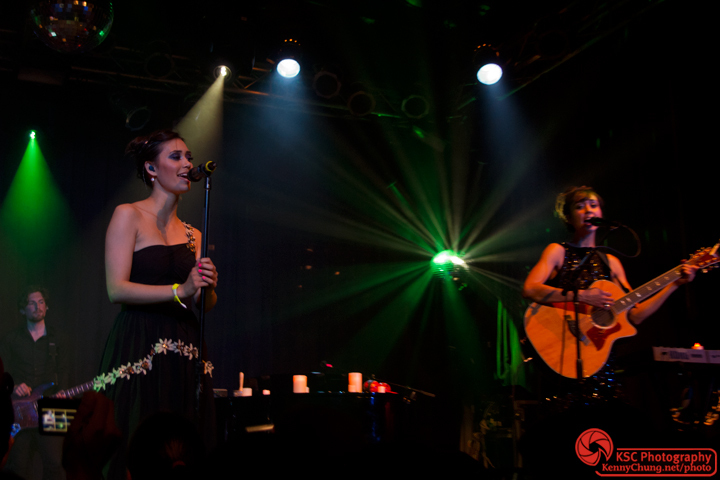 Dia's sister Meg Frampton playing guitar and providing backup vocals. The original two members of The Meg & Dia Band. 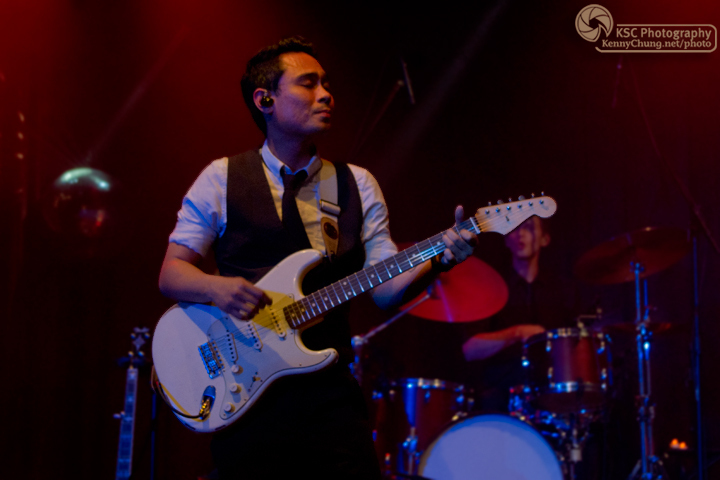 Dia performed most of "Red" and switched between playing the piano, guitar, and tambourine, as seen above..
Carlo also told me that the band now has a Fender guitar endorsement. Good for them! 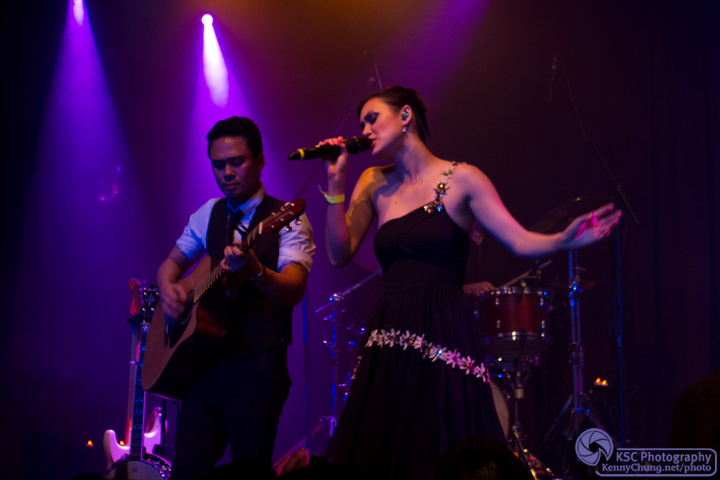 I've missed this - Carlo and Meg tearing it up on stage together with their guitars. That's Meg's custom painted Telecaster that she Tweeted about during the recording of "Cocoon". If ever you needed a sign that the band was still together, their gear is still labeled Meg & Dia.